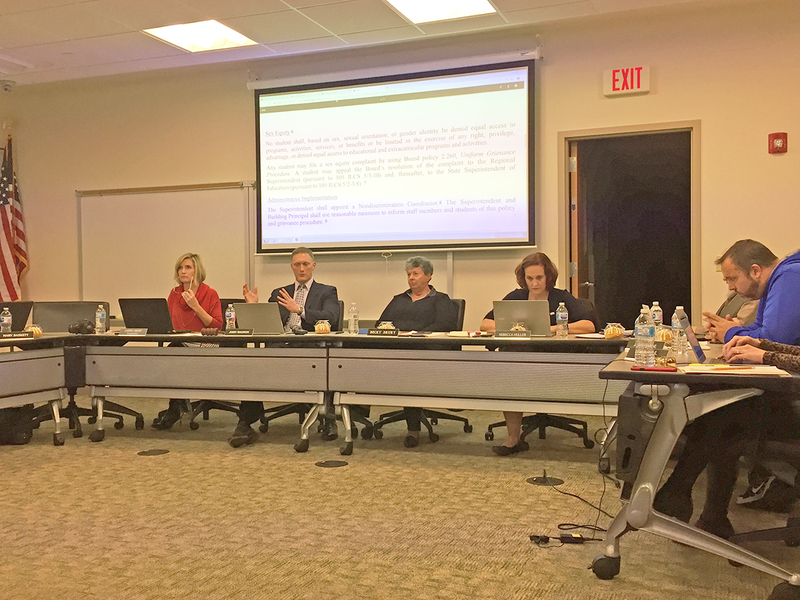 The O’Fallon District 90 school board approved an update to their Equal Educational Opportunities policy at the November board meeting. Policy 7:10 was one of several policy updates presented during the August board meeting. During that meeting, Policy Committee chair Rebecca Huller requested this policy be placed on the agenda for discussion because of recommended changes submitted to the district from the Illinois Association of School Boards (IASB). The board policy manual shows the existing policy was adopted February 20, 2018. Board member Steve Springer requested a line from the existing policy stating “extracurricular opportunities shall be available for all students as provided under the law except as provided in student handbooks for restrictions on participation due to discipline or nonpayment of fees” be added to the IASB version being submitted by the policy committee. President John Wagnon submitted an alternate draft that used the language from the current policy, but added the new details about ID badges and clarifying wording regarding sports activities. Wagnon and Springer both indicated they felt the original language saying “all students as provided under the law” was more direct and allowed for future additions to protected classes without the need to change the policy. They ultimately voted “no” against the updated policy, which was approved 5-2.